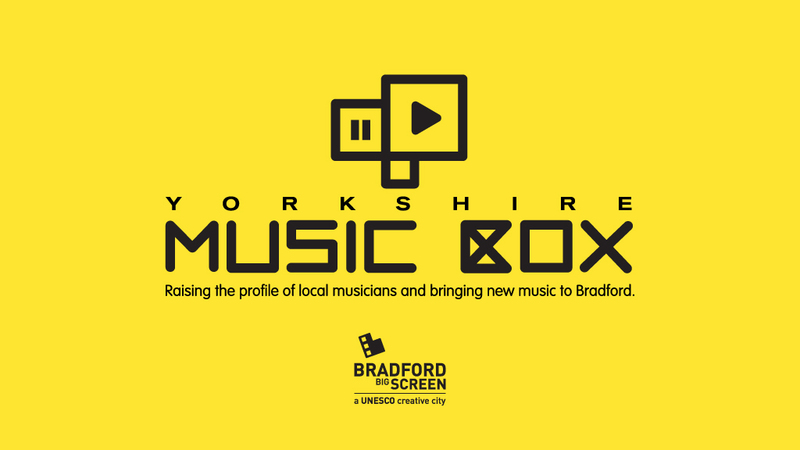 Yorkshire Music Box is a bi-weekly feature on Bradford Big Screen raising the profile of Yorkshire musicians and filmmakers and bringing new music to Bradford. Yorkshire Music Box: The Greedy Souls – We Will Rule from Bradford UNESCO City of Film on Vimeo. Yorkshire Music Box: Kascarade – Dust Yourself Down from Bradford UNESCO City of Film on Vimeo. And welcoming to Music Box for the first time, Bradford musician HD with Welcome to Bradford…. 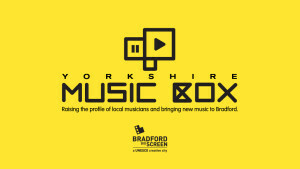 Yorkshire Music Box: Welcome to Bradford by HD from Bradford UNESCO City of Film on Vimeo. Yorkshire Music Box: Spellbound by The Cuckoo Clocks from Bradford UNESCO City of Film on Vimeo. Yorkshire Music Box: Big Noise by Tin Soldiers from Bradford UNESCO City of Film on Vimeo. Yorkshire Music Box: Absolutely by Uncomely from Bradford UNESCO City of Film on Vimeo. Yorkshire Music Box: Unboxers by Signal Works from Bradford UNESCO City of Film on Vimeo.